Without a doubt, murder is the most serious charge that one can be facing in a court of law. Although the state of Minnesota does not allow the death penalty, if convicted, you will likely be spending the rest of your life behind bars. 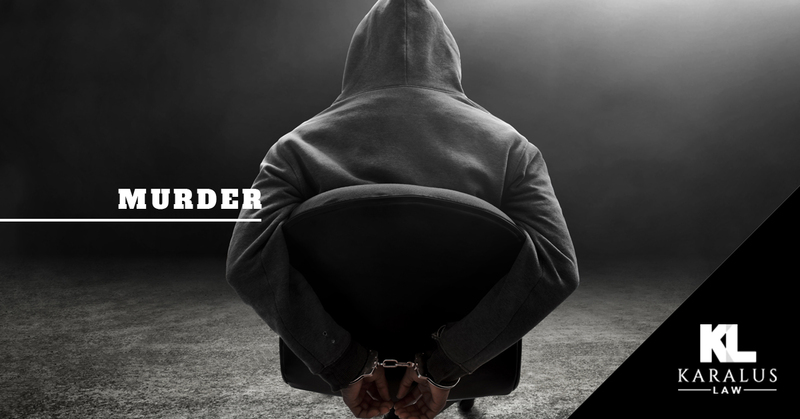 If you’re facing even the slightest possibility of a murder charge, it is critical that you find yourself an aggressive and experienced criminal defense lawyer to represent you. Brian Karalus has spent over two decades using his extensive knowledge of criminal law to defend the rights of those accused of serious crimes, no matter the situation. While most lawyers shy away from high profile cases and those that are taken to trial, Brian is more than willing and incredibly capable to work diligently on your case and do anything in his power to defend your case and receive the best verdict possible. It’s of the utmost importance that you reach out to Karalus Law as soon as you find out that you are under investigation, there are steps that can be taken that will help make sure the prosecution and law enforcement don’t make an early decision pertaining to your guilt; or pressure you into releasing damaging information that will hurt your chances of a fair proceeding. Investigating the evidence and scene of the crime for evidence to be used in your defense. Protect you from any pressure from the state. Create a thorough and compelling case on your behalf. When facing a murder accusation, you want the best defense on your side, and you’ll find it with Brian Karalus. If you are currently under investigation or have been accused of murder, the time to act is now. Contact Karalus Law today and protect your future by hiring the best criminal defense lawyer in Minnesota.